Have you been captivated by the blockbuster book and TV hit Game of Thrones, where you win or die by the sword? 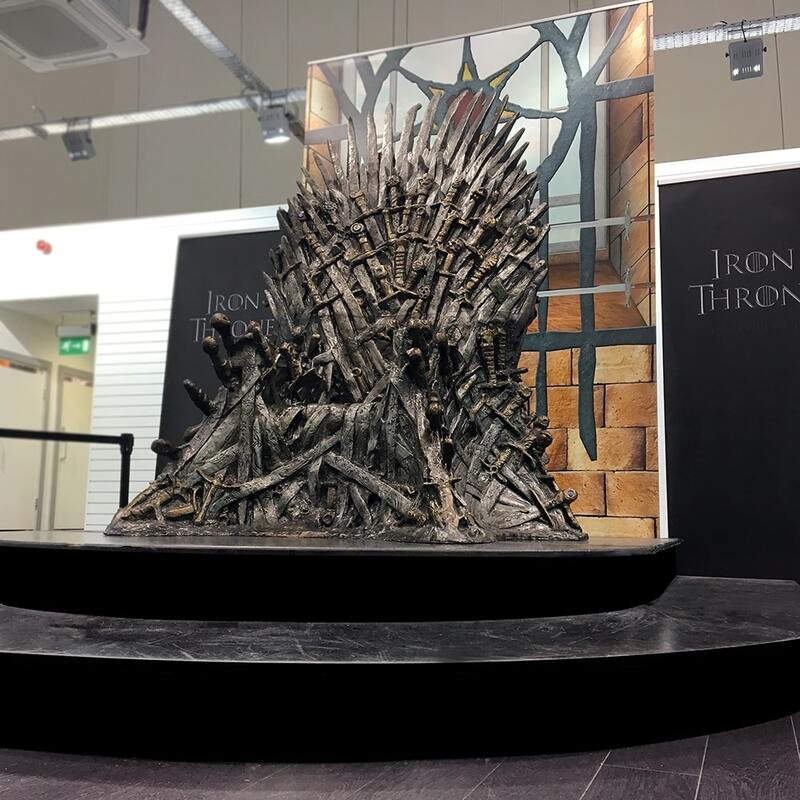 Unlike Ned Stark, there is no need to lose your head to capture your dream of conquering the iconic Iron Throne of the Kingdom of Westeros, as it will be exclusively at Showgrounds Shopping Centre in Clonmel on February 23 and 24. Young and old are invited to bestow themselves on the Iron Throne - an opportunity to die for! The Iron Throne Experience is unlike anything you have ever seen before. On the epic Game of Thrones TV show, the Iron Throne was constructed by the first king of the Seven Kingdoms Aegon I Targaryen. He made it from the swords surrendered by his enemies. Legend has it, it’s made of a thousand swords that took 59 days to hammer out into a throne. Spikes and jagged edges in every direction make this one very intimidating lounge. The Iron Throne Experience’s HBO licensed Game of Thrones prop replica measures over 7’2” in height, 5'11" in depth and 5'5" in width. 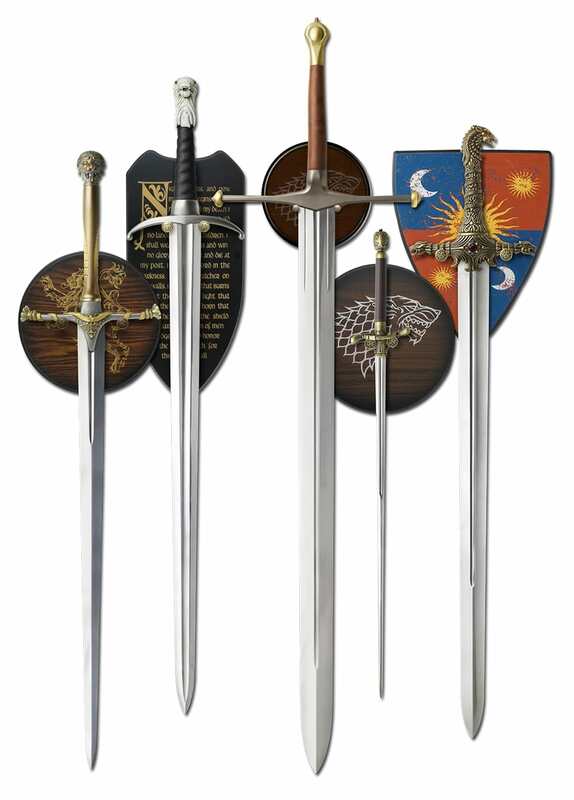 Also on display at Showgrounds will be the HBO Game of Thrones Crown of Joffrey Baratheon, along with the swords Ice, Longclaw, Needle, Oathkeeper and Widow’s Wail, and dragon eggs prop replicas. “In Game of Thrones, many people die in the battle to rule Westeros from the Iron Throne, but the people of Munster don’t need to lose their heads to sit on the Iron Throne. They can come along to Showgrounds Shopping Centre in Clonmel from February 23 to 24,” says centre manager Julian Smith. Be the envy of all your friends and take your seat on the Iron Throne - only at Showgrounds Shopping Centre! Open February 23 from 10am to 6pm and February 24 from 12pm to 6pm. Tickets for the event are available online at IronThrone.ie.